Many factors play a role in why our wood floors need a little love. Just like everything else in our lives, over time, damage and every day wear and tear will happen. Keeping your floors in top shape is a great way to give your home a facelift. For over thirty years, Bob McGowan’s Wood Flooring’s experts have been refinishing wood floors over Long Island. Their wood flooring specialists have been have been keeping homes fresh and updated for over two decades. To test the finish on the wood, usually a water test is made. Pour a little bit of water on your wood plank and see if/how it beads. If the water does not bead up, and it’s absorbed in the wood, it needs to be refinished. There are different reasons why wood floors become discolored over time. Different elements such as water, the sun, iron, and chemicals can change the color of your wood. To fix your discoloration problem, all you have to do is refinish your floors! Mineral streaks can cause discoloration in your wood planks. Sometimes minerals that are present where the tree was found may be responsible for the discoloration. Some people think it adds character, others find it ugly. For the latter, it can still be taken care of by floor refinishing. Your wood floor gets beat up over time. Moving furniture around, pets’ claws and even the right stiletto can be the culprit for scratched floors. Scratched floors are going to happen over time. Regular maintenance will keep your floors looking fresh and brand new. All it really requires is a light refinishing. Different types of moisture can change the finish of your hardwood floors. For example: when there are rust stains that are caused by moisture, that damage your floors. Mildew, decay and fungus can also be reasons that your floor becomes discolored. Moisture in the air varies depending on where you live. If, for example, you live in a place like Florida where there is high humidity, moisture in the air is a common culprit for swelling. In drier places, such as New York, shrinkage is a common problem for wood floors. Once you have wood floors, it is advisable to test the moisture levels. Each level of your flooring holds different levels of moisture. The moisture on each level of your flooring can affect your wood planks. Keep in mind that each level below your wood planks requires a different moisture range that needs to be maintained. Your wood planks themselves require a certain level of moisture as well. Depending on how long your floors have been exposed to water or excess moisture, you can determine whether refinishing your floors are necessary. As the seasons change, the moisture levels change. During warmer months, the wood expands. When it cools off, the wood contracts. If you are using low-quality wood, or the planks are not installed properly, that can cause the wood to splinter. When the wood planks are installed too tightly, they do not have room to expand. That causes the wood to bend and splinter. 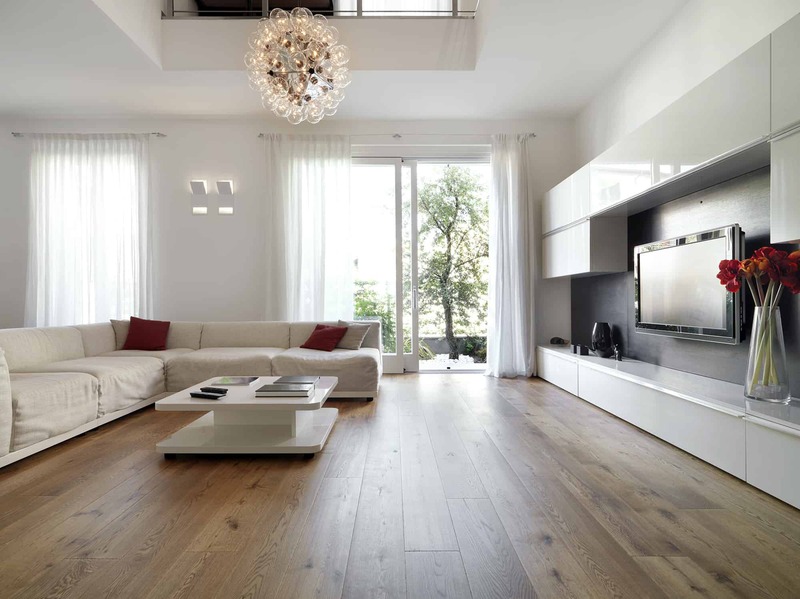 Wood floors have a timeless elegance that can easily enhance the look of any home. It works for all types of homes, and is not specific to any particular style. Wood floors are not only versatile when it comes to the style of the home, it is also easy to maintain, clean and repair if needed. On Long Island, many homes have a rustic, vintage look. Wood floors are almost always a staple. For your floor refinishing needs, call Bob McGowan Wood Flooring!